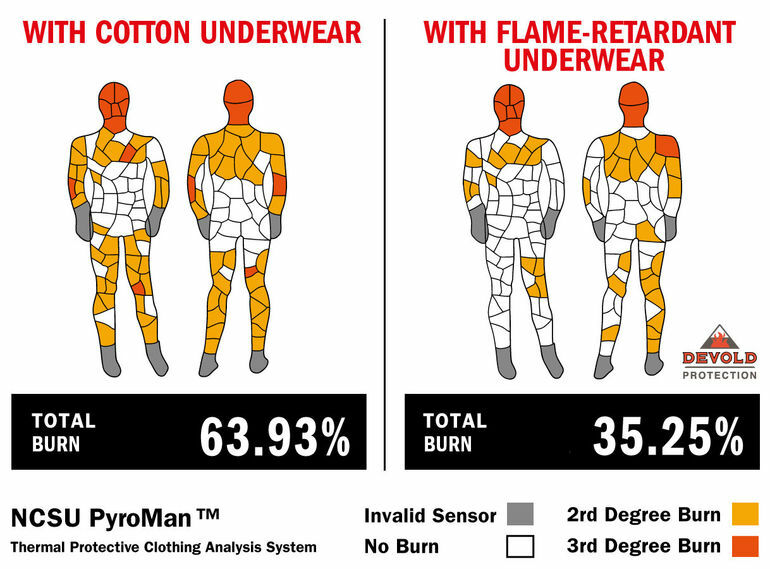 North Carolina State University has demonstrated that the use of flame-retardant underwear significantly reduces burn injuries compared to standard cotton underwear. 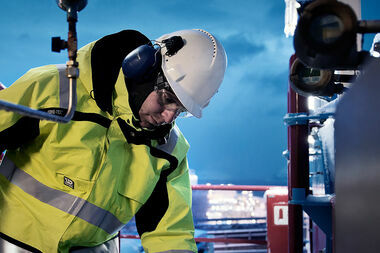 A dummy fitted with 150 heat sensors was dressed in new Wenaas Offshore products and standard cotton underwear, and then exposed to a firestorm lasting four seconds. 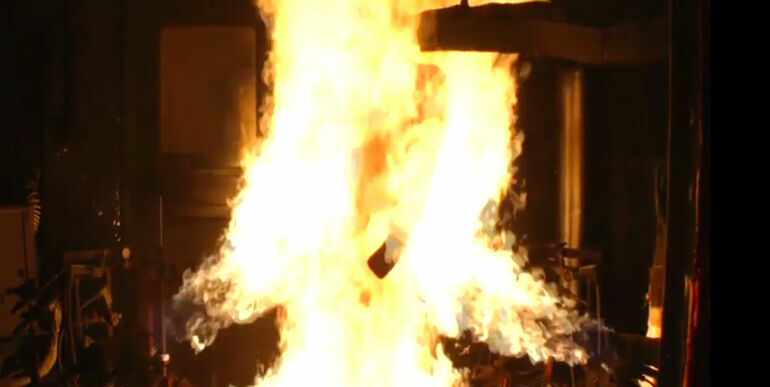 A corresponding dummy was then dressed in new Wenaas Offshore products and Devold® Spirit flame-retardant underwear, and similarly exposed to a 4-second firestorm. During exposure to the flames, the heat sensors measured how much heat penetrated beneath the “skin”, to record second- or third-degree burns. A total figure was then calculated to indicate how much of the body had been burned. In addition to actual burns, it is common for people to experience scald injuries on account of moisture. If the body’s own moisture is allowed to remain in contact with the skin, it can actually become so hot that it starts to boil. 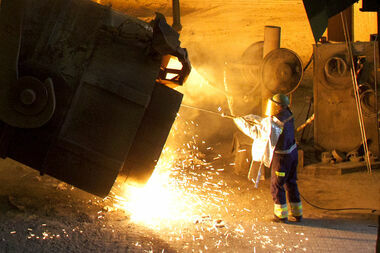 That is why it is so important to use flame-retardant underwear with excellent moisture-transporting properties. 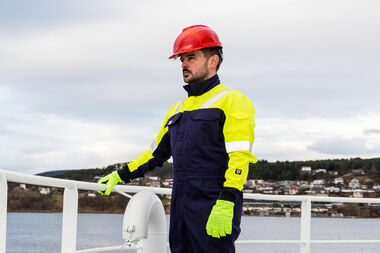 The test demonstrated that wearing new Wenaas Offshore Daletec 350A coveralls together with Devold® Spirit flame-retardant underwear reduced the extent of second- and third-degree burns by 13%. 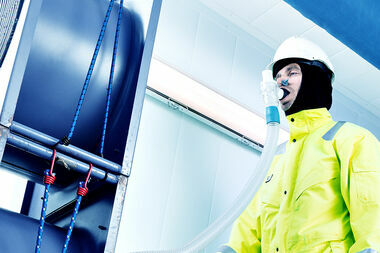 The test also revealed that wearing new Wenaas Offshore 220A coveralls together with Devold® Spirit flame-retardant underwear reduced the extent of second- and third-degree burns by fully 29%. The project has resulted in a collection that halves the volume of clothing necessary while doubling the time people can continue working in extreme weather conditions, without compromising on comfort or safety. We are experts in workwear and equipment designed to provide protection in hazardous work situations, and have actually set the bar for flame-retardant work clothes.